Family photos are one of my favorite things to put up on my walls. And I'm always looking for new ways to display them. 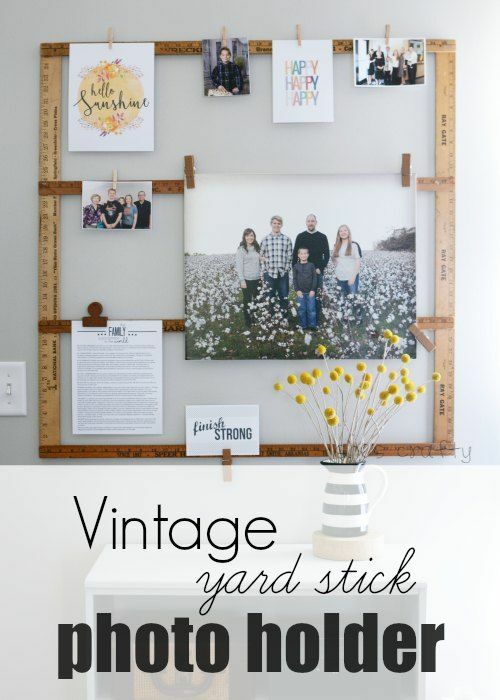 I came up with this photo holder made from vintage yard sticks. I picked up a group of vintage yard sticks at the Nashville Flea Market a few weeks ago. They are so cool and all different. I layed them out on my desk and glued them together with a hot glue gun. Hot glue is my fave because it holds really well, but is removable too. 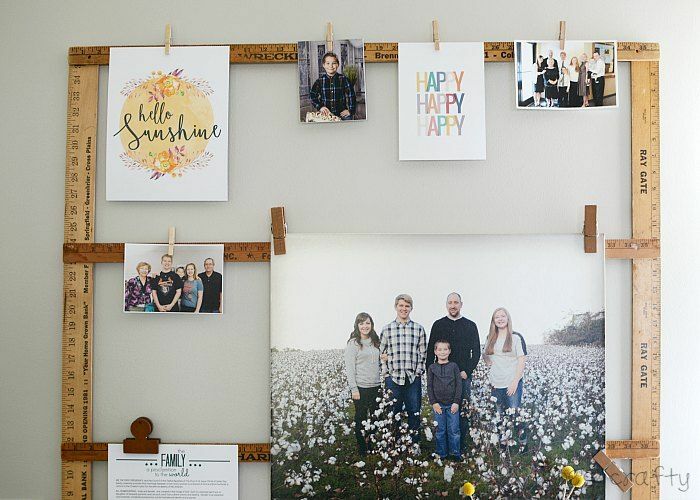 I hung our family photo, and various snapshots and printables on the photo holder. 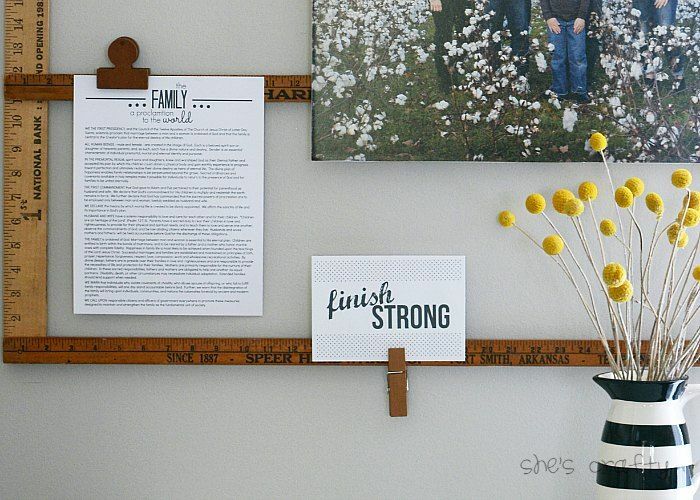 I made some new printables to go up on my photo holder. We are in the last few days of school and we're running on fumes. It's been a long year. There's tons going on to finish up the year. We're all so tired and done. But it's almost over and we need to Finish Strong. So I made this printable to remind us. 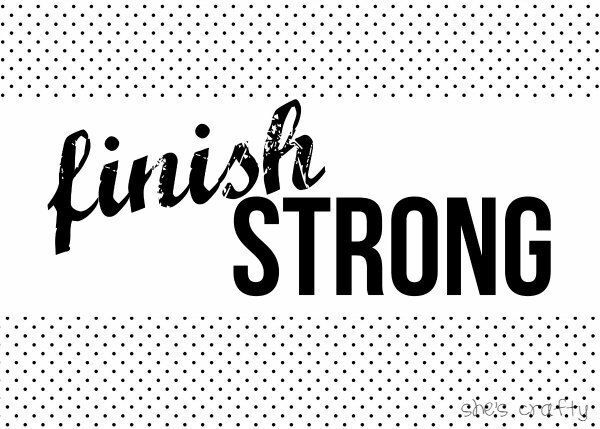 Get the finish strong printable here. 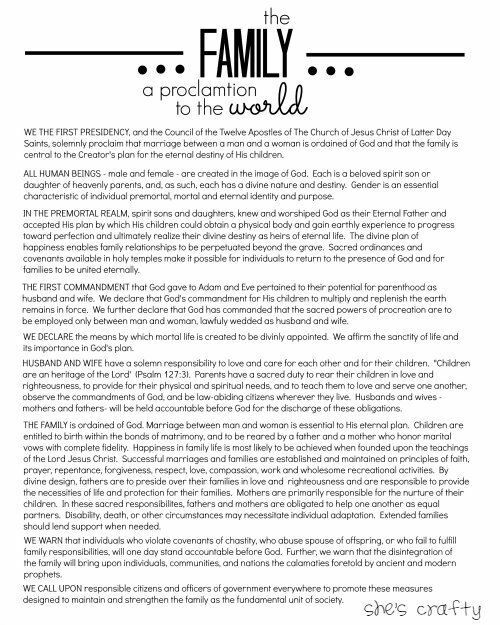 The Family Proclamation is from my church. Get my proclamation printable here. 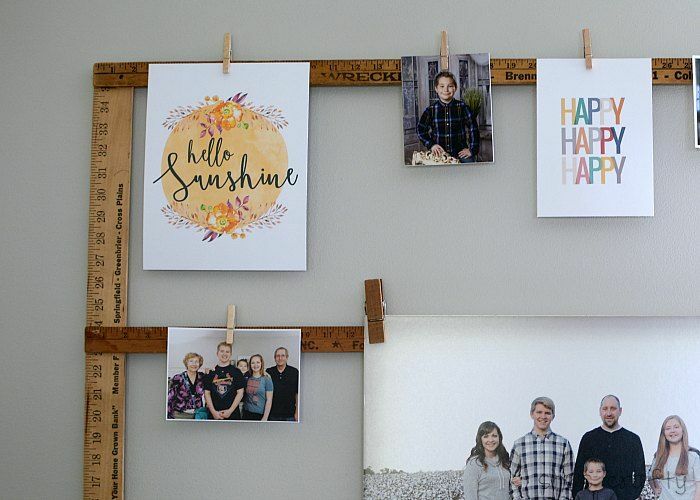 Get the hello sunshine printable here. The link to the happy printable seems to be having troubles, but see the pin here. Here it is up on my wall in the Living Room. Darling!!! What a fun display. 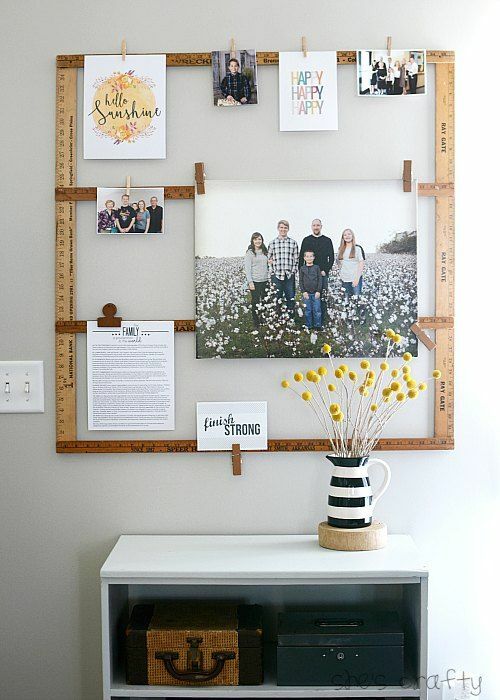 Thanks for sharing this creative idea with us. It's looking awesome. Decorating your wall with Decorative Magnets for Rooms who provide you decorative magnets for rooms, refrigerators and wall. 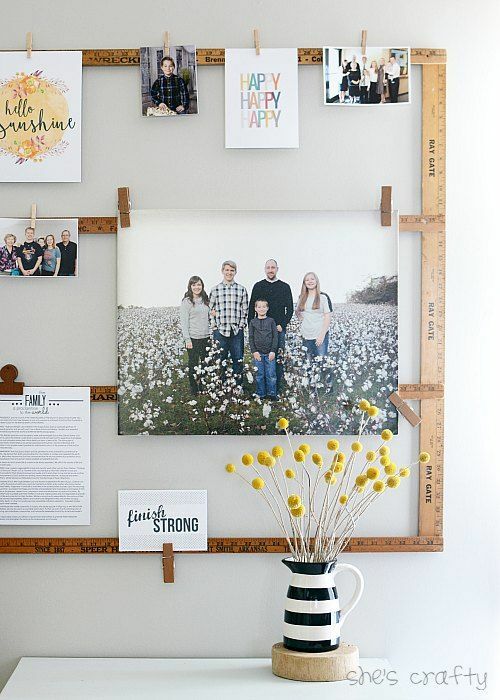 And this make your home more beautiful.